I stopped by the mall at lunch today and saw J.Crew is offering an additional 50% off final sale items in stores. 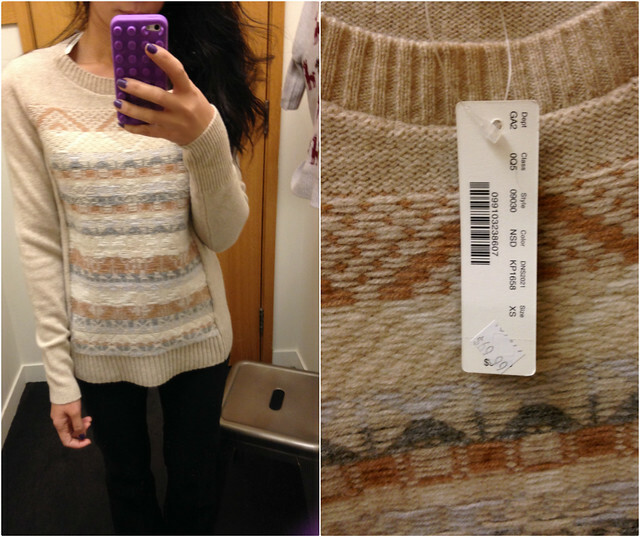 I walk out empty handed but wanted to share a few fitting room pics just in case you're interested. 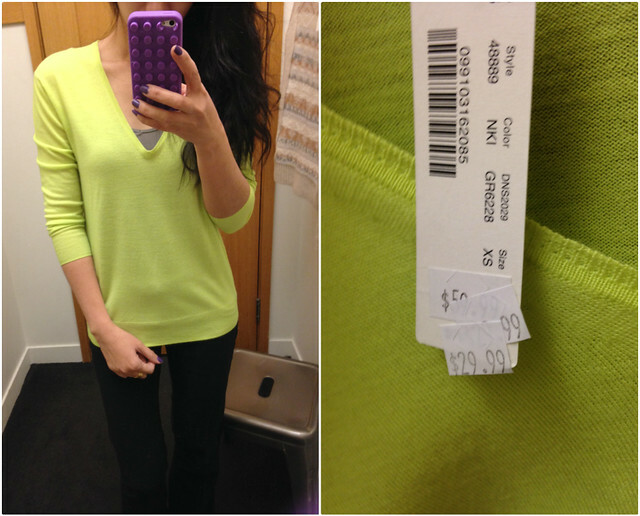 Love the color of this sweater but the material was very thin. I also saw this scalloped dress now sells for $25 after the discount (from $168) but my size wasn't available. 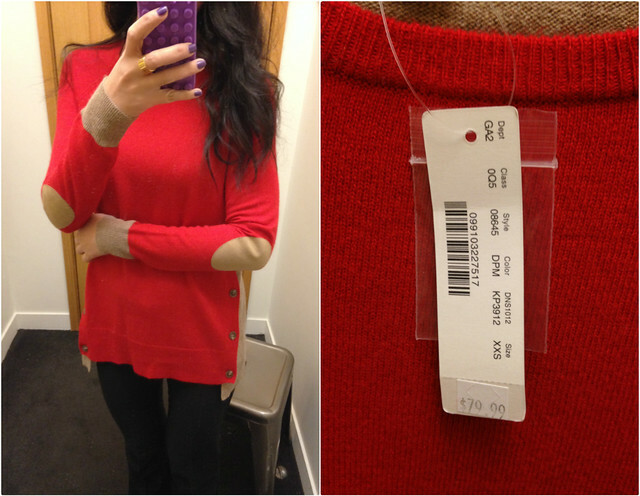 Are the prices you list for the iphone case and scalloped dress before the additional 50% off? 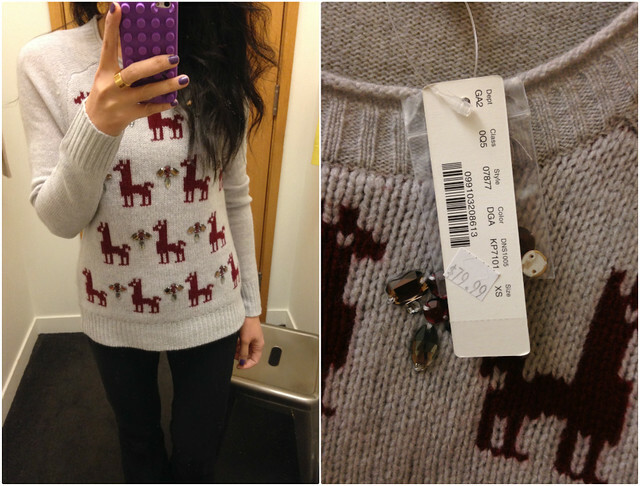 that llama sweater is super cute! i'm trying to avoid buying anything this month but thanks for the picks! @Anonymous Mentioned prices were after the discount.